In 1987, California was at the beginning of what would be a six-year drought -- the second driest in the state’s history. 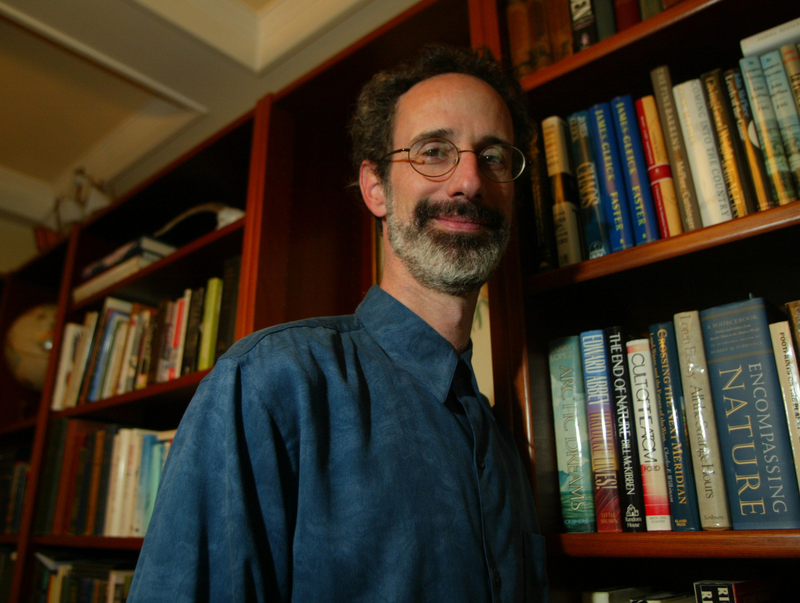 Fittingly, that same year Peter Gleick helped to co-found the Pacific Institute, a global think tank that would become a leader in global environmental and California water issues. In 1987, Gleick had just finished a doctorate from the University of California, Berkeley, in the Energy & Resources Group, where his dissertation was the first to study the impact of climate change on water resources. Eager to use his background in climate science and hydrology in a multidisciplinary endeavor, he and graduate school colleagues launched the Pacific Institute, turning a $37,000 grant into an internationally recognized research institute that has just celebrated 29 years in existence. Gleick’s academic training taught him that environmental problems are not technology problems, economic problems or political problems -- but all of those things. That lens has helped inform the research perspectives at the Pacific Institute. In July, Gleick transitioned his role at the organization to president emeritus and chief scientist, to focus less on the daily tasks of running the organization and more on research and writing. Water Deeply recently sat down with Gleick to talk about the evolution of California water issues over the last three decades and the biggest problems facing the state. Water Deeply: Since you started the Pacific Institute, California has been through several droughts. Is this drought different, or are we handling it differently this time? Peter Gleick: Yes and yes. Droughts are a natural part of our landscape. We have wet years and dry years. But this particular drought is unusual for a couple of reasons. One of the big differences is that we have around 39 million people now. We have millions more people than the 1976–77 drought and the 1987–92 drought. Also, the question is: How do you define drought? If it’s just hydrologic – this drought is bad enough. It’s probably the worst hydrologic drought, four years in a row and now the fifth year. But I define drought as not having enough water to do what you want. If that’s the case, then there are social and economic and population factors that come into it. It’s certainly the worst, given growing pressure on the limited water that we have. Very clearly one of the things that sets this drought apart is that now there is this incredibly clear climate signal. I think it’s unambiguous and that’s new. 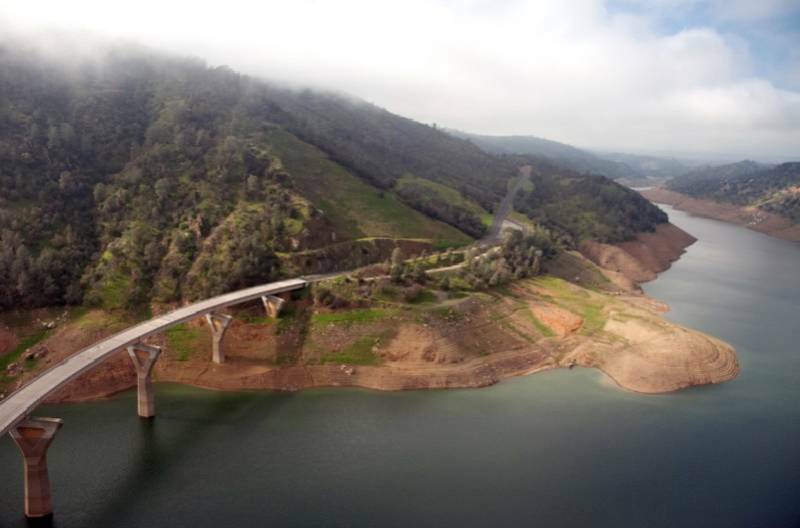 Water Deeply: Are we approaching drought any differently? When it rains a lot we forget about drought, and when it’s dry we forget that sometimes it floods in California. Having said that, there are permanent changes happening, like the fact that we were able to get groundwater legislation passed. It’s too early to say whether the conservation we’ve seen over the last year, especially when there was a mandatory 25 percent cutback in urban use, will disappear or not now that it has been lifted. Most urban agencies have now set new conservation targets of zero, which is an indication of the mentality that we can go back to our old way of thinking, but I don’t think all the conservation will disappear. Some of it is permanent replacement of inefficient toilets and washing machines and shower heads and lawns. Some of it is behavioral, and we’ll see that slip somewhat. I don’t know yet. I think we may be in a transition -- we’ll see. Water Deeply: You’re not buying the argument from water suppliers that having zero conservation goals is a good thing because it means they have a resilient water supply? Gleick: No, I’m not. Some agencies are doing really well on conservation and efficiency, and some are doing terribly. The standard that the state board set -- do this evaluation and if you have three years of reliable supply, you’re OK -- is a very weak standard. There’s one other critical issue: Whether or not a water agency has three years of reliable supply is not a good measurement of whether or not ecosystems are healthy, or our salmon runs are being restored, or the Pacific flyway and the bird migratory routes are healthy, or water quality is good. It’s an incomplete measure of how well we are doing. Water Deeply: Do you think a loss of revenue by water suppliers because of conservation is part of the issue? Gleick: Yes, I completely understand why the water agencies don’t want a mandate. It’s largely, but not solely, due to the fact that we have not done a good job in California of providing economic models that encourage water utilities to save water. As long as their revenues depend on selling water, there is a fundamental conflict of interest between their need to fund their operations and their fixed costs, and the state’s need to encourage more efficient use. Water Deeply: California is often seen as a leader on environmental issues. When it comes to water, where is the state leading and where is it lagging? Gleick: We’ve always been a leader on water efficiency standards and before that a huge leader on energy efficiency standards. It’s hard to find another area where I would say we are really leading. Groundwater management has been abysmal – we were the last state to have any groundwater law, and it’s still not implemented. We still have unmetered connections. We’re still not balancing ecosystem needs and human needs for water. The fight in the [Sacramento-San Joaquin] Delta is a never-ending fight and that’s what it is about – it’s about delivery of water to humans versus ecosystem health. There are innovative things going on all over the state, but they aren’t widespread enough in my opinion to be able to say we’re a leader to the extent we ought to be. Water Deeply: What are a few things we should do right away? Gleick: We need massively comprehensive water efficiency standards for residential, agriculture, commercial and industrial [use]. We are way behind on collecting and making publicly available water data. We need to be massively expanding wastewater treatment and reuse, and that’s slowly happening. And stormwater capture, we could do more. We need to fix the Delta. We need to get over this hump of the political impasse. Everyone agrees the Delta’s broken, we just can’t agree on how to fix it. Water Deeply: Do you see that being resolved any time in the near future? Gleick: No, not as long as there is this antiquated, archaic belief that one more piece of infrastructure will solve the problem. Some kind of tunnel or diversion might be a good idea, but not the way they are proposing it. Part of the problem is tied to a difference of opinion about how much water we can take out of the Delta. As long as there is a belief by some contractors and south of Delta water users that they can have as much as they are having now or more, there is not going to be an agreement – because the science suggests we are taking too much water out of the Delta. As long as there is unceasing rhetoric from Central Valley politicians that the environment is a problem, rather than part of the solution, it’s going to be a stalemate. Water Deeply: You’ve written a lot of about the “soft path” for water, which is very different from the reliance on big dams and other infrastructure that drove water policy in the 20th century. Are we on that soft path or anywhere near it? Gleick: We are on it in the sense that there is a transition happening from the idea that hard infrastructure and hard institutions will solve our water problems, to a realization that it’s not just water supply, that it’s supply and demand. It’s not just centralized infrastructure, it’s community participation in decision-making. That economics is not just the price of water but dealing with environmental externalities and environmental justice issues – all of those are components of the soft path. I think there’s a growing realization that all of those are critical components of a sustainable California water future. But it’s slow. We still see people who think a couple more dams, another $15 or $20 billion set of tunnels will solve our problems, and that’s a fantasy. But there are more voices in California water policy. The environmental justice community is increasingly participating and sought-after in discussions about policy. We’re thinking about new forms of economics and markets and transfers. And we’re completely shifting the focus not just from supply, to demand. And to new supplies like treated wastewater. Yes, I think we’re on the path, but I think it’s a long slog. I’m convinced that we’re moving toward a sustainable water future in California and globally. It will take a long time, but it’s inevitable. The challenge is how to make it happen faster and with less pain than following the old traditional approaches will produce.